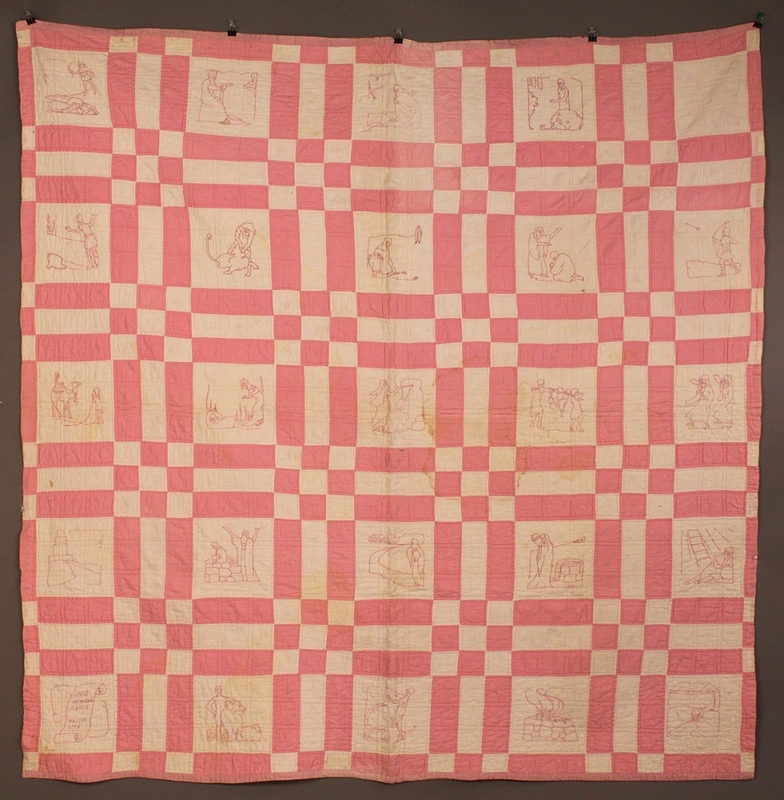 Alabama pink and white cotton quilt, 24 squares embroidered with scenes from The Bible including Abraham with Isaac on the altar, Samson and the lion, etc. 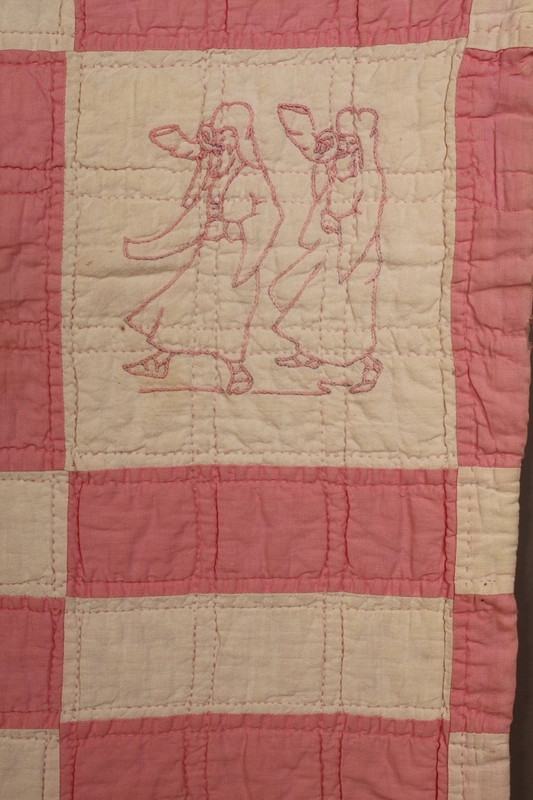 1 square is unembroidered. 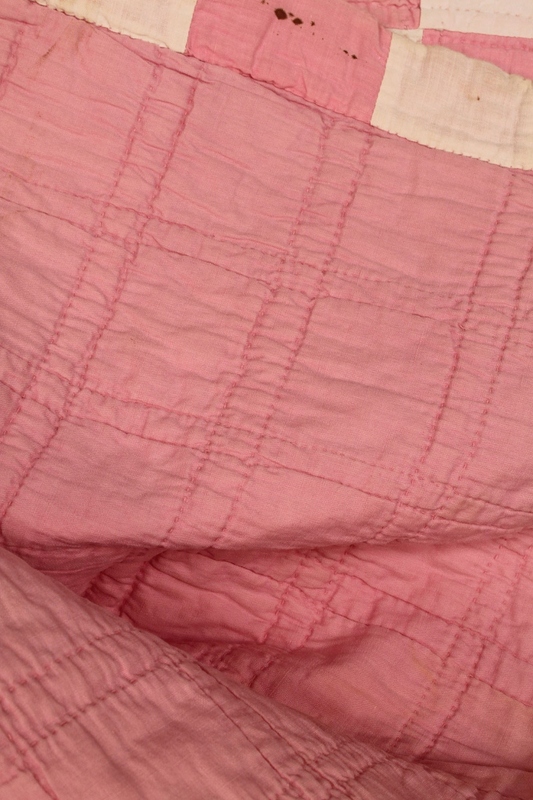 Approximately 69" x 68". 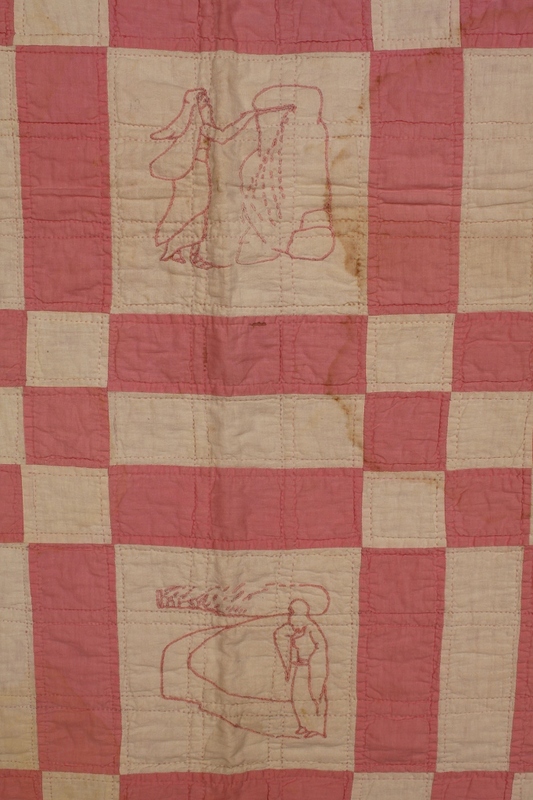 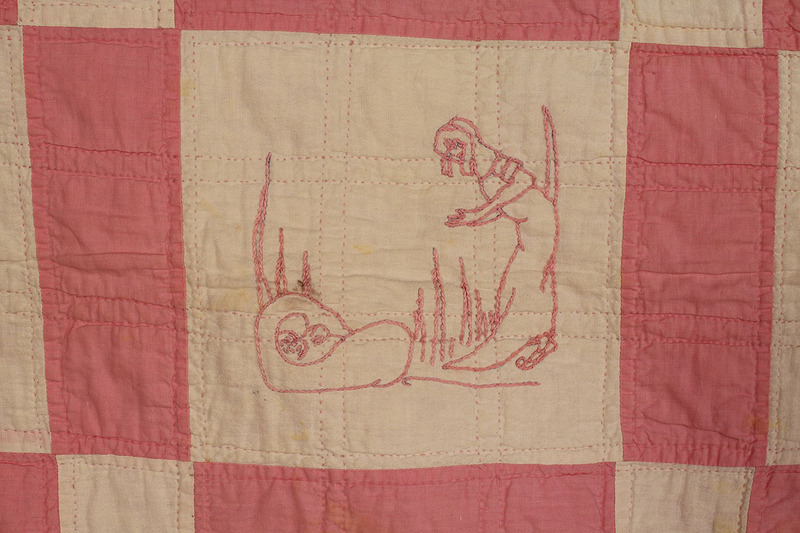 Provenance: a handwritten note accompanying this quilt states that it was embroidered by 12 year old Wynelle Doggett while in 8th grade at the TCI School in Edgewater, Alabama around 1926-1927, and put together by a neighbor. 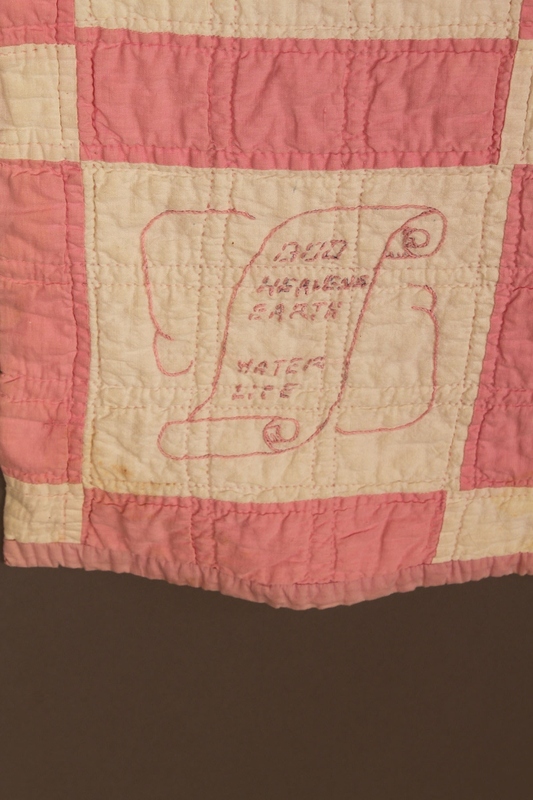 (Note accompanies quilt). 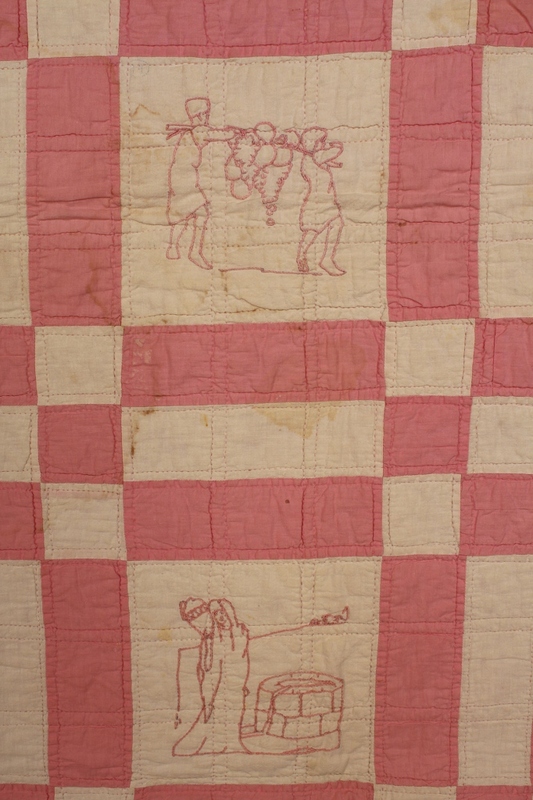 Provenance: Lynnville, Tennessee estate. 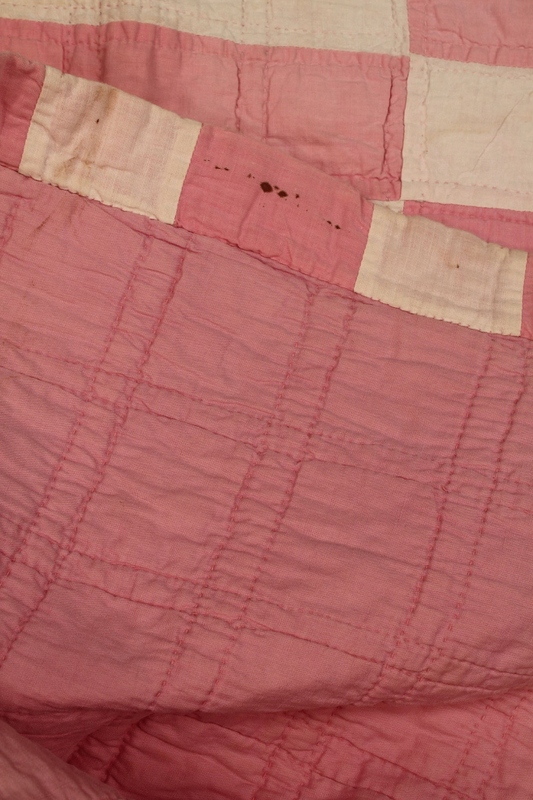 Condition: Wear and losses at edges, some scattered light stains.